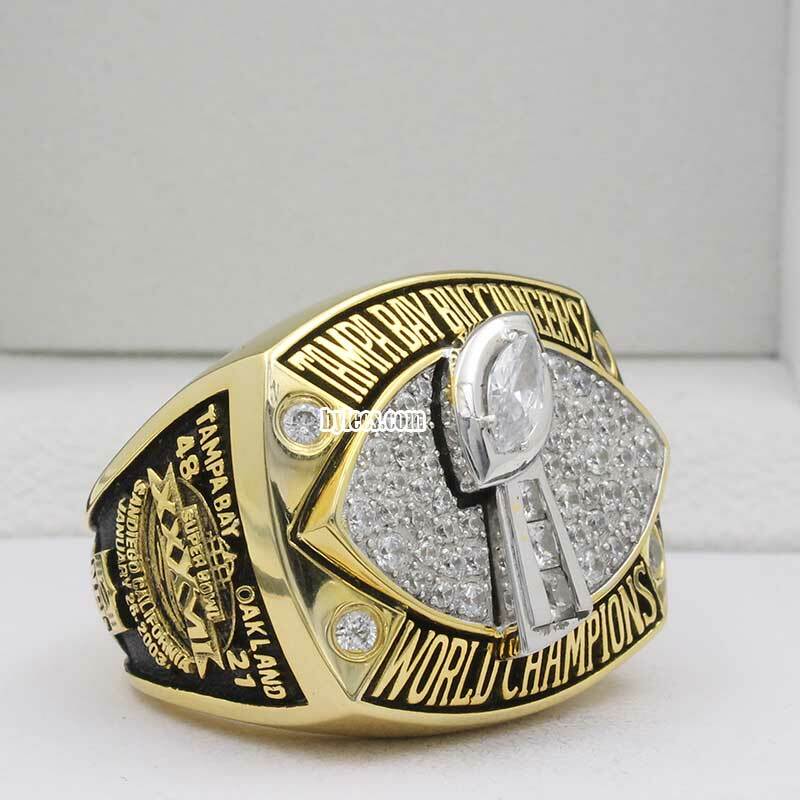 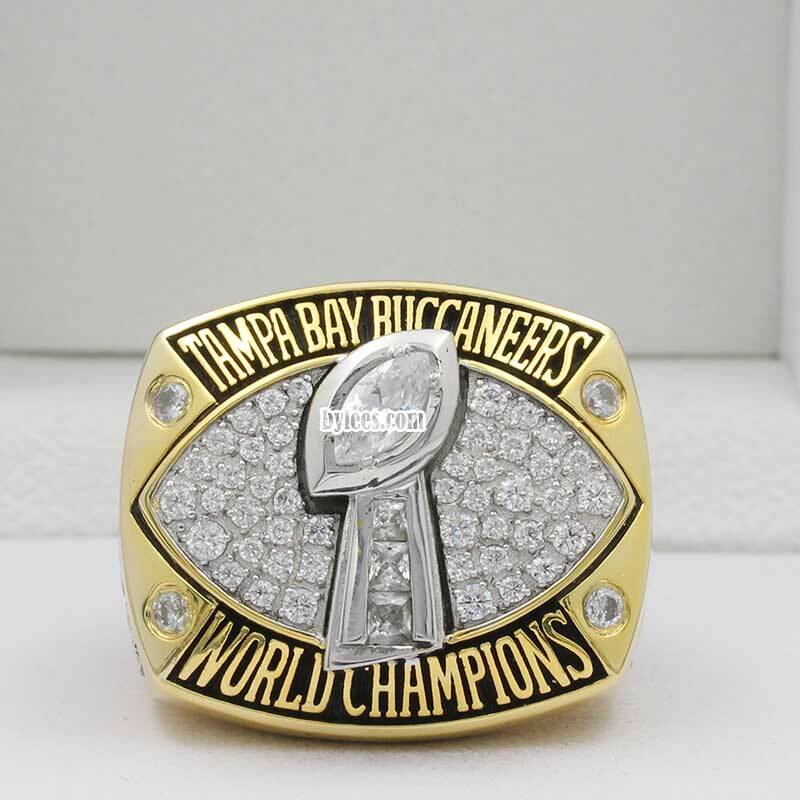 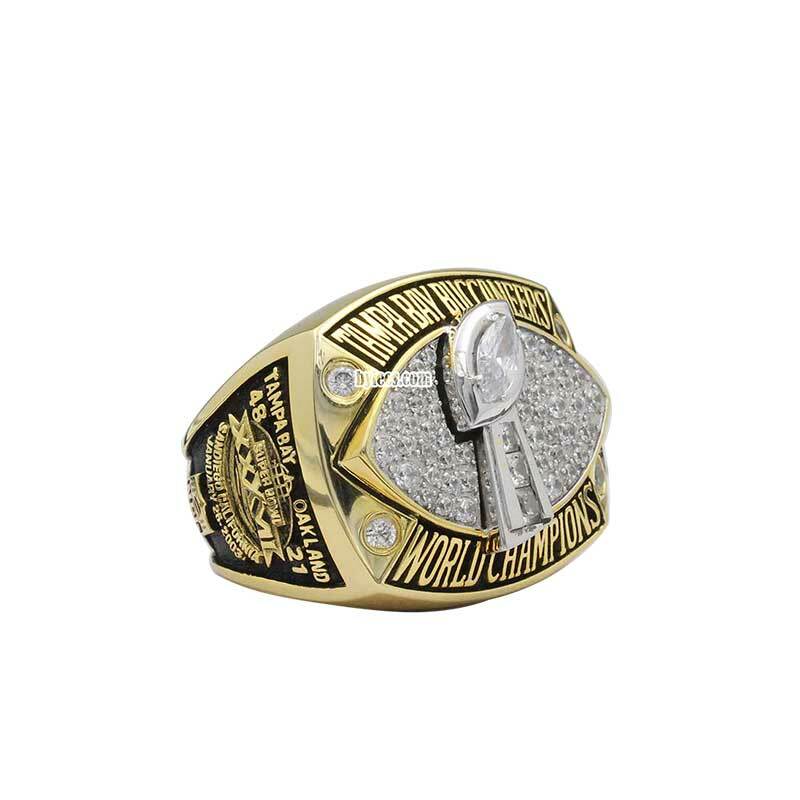 The Tampa Bay Buccaneers 2002 Super Bowl XXXVII Championship Ring is the Bucs first ever Super Bowl Ring in franchise history. 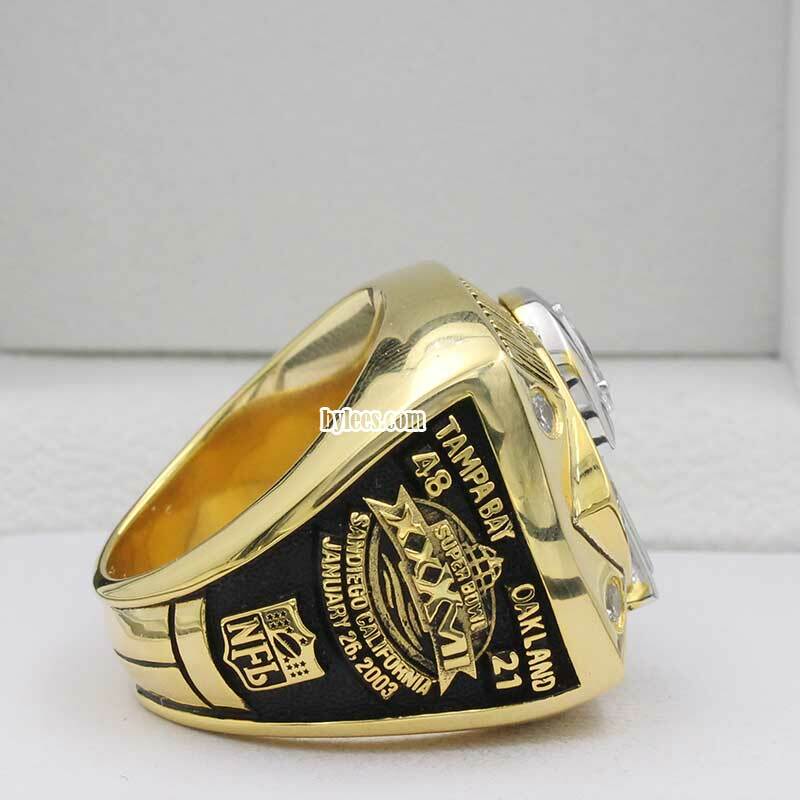 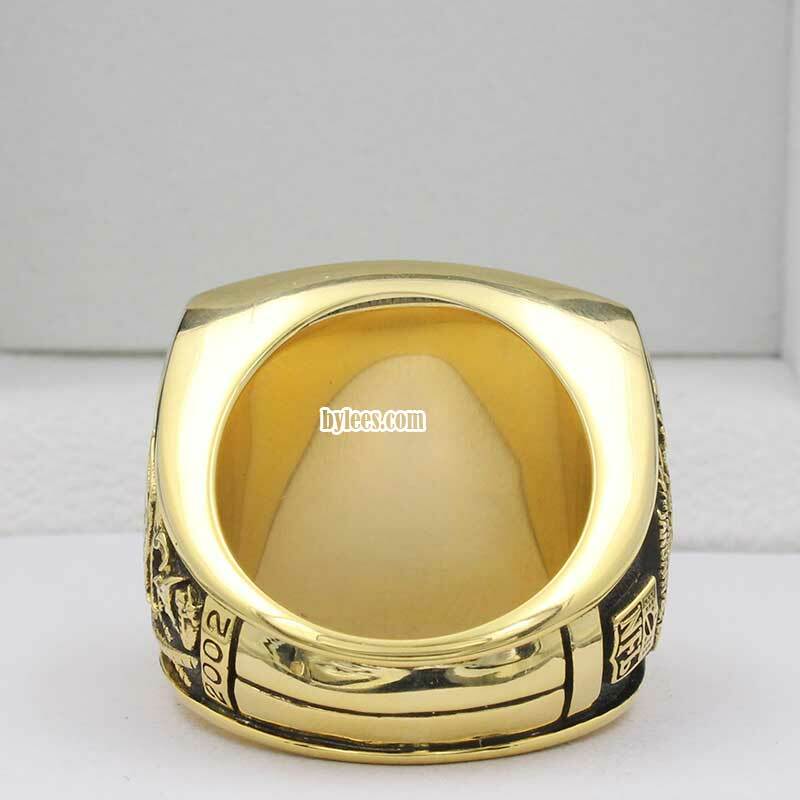 This 2002 Bucs Super Bowl ring commemorated their most successful season by defeating Oakland Raiders 48–21 in super bowl 37. 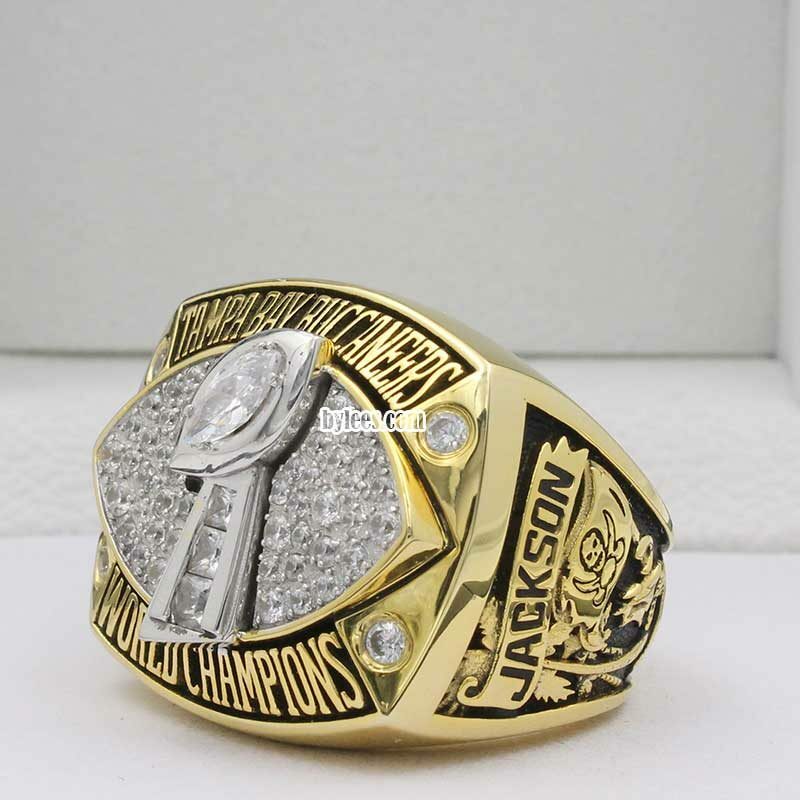 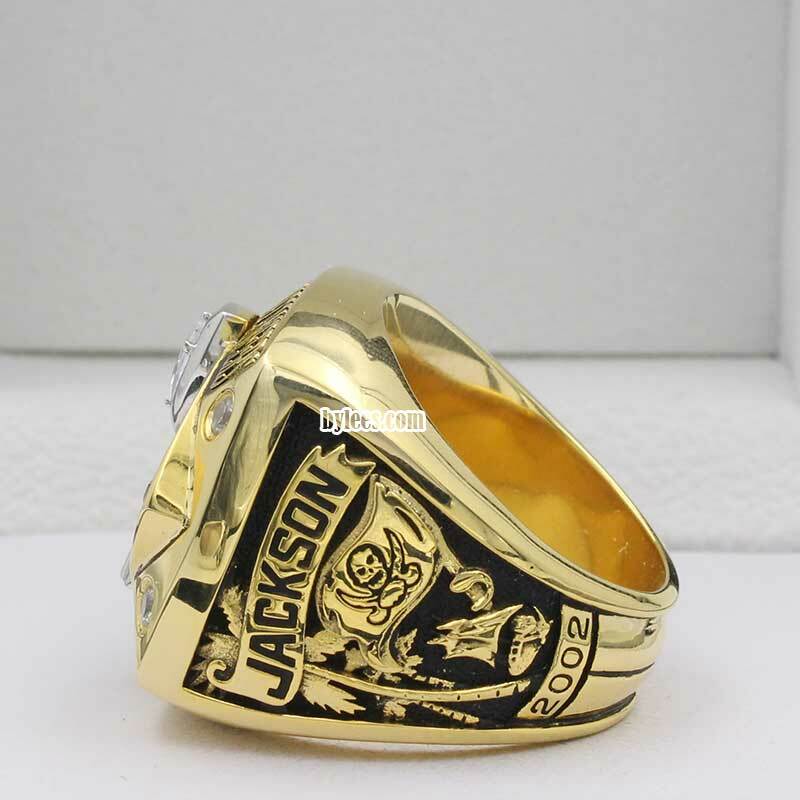 The version here is the player Dexter Jackson 2002 super bowl ring, he was the year MVP, he came up with two interceptions. and it is also the only super bowl ring for Brad Johnson,Mike Alstott(retired), but Keenan McCardell got two with this bucs championship ring.